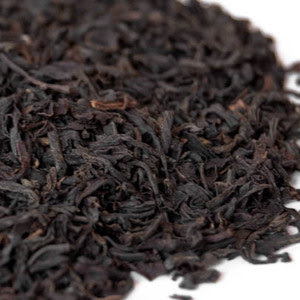 Irish breakfast tea is a blend of several black teas. The tea most often used is Assam teas. Irish brands Lyons, Barry's, Nambarrie's, and Punjana are heavily weighted toward Assam. Irish breakfast tea is commonly served with milk, but may also be consumed plain or with lemon or sugar. Irish breakfast tea is often drunk in the morning. green, oolong, or white teas. It is also taken throughout the day and evening. Generally, the best Irish breakfast tea is in loose leaf form. Such teas being taken from the best parts of the plant. When brewed, the tea varies in colour from very dark red to brown. Irish breakfast tea can also be bought in tea bags but with more variation in quality.